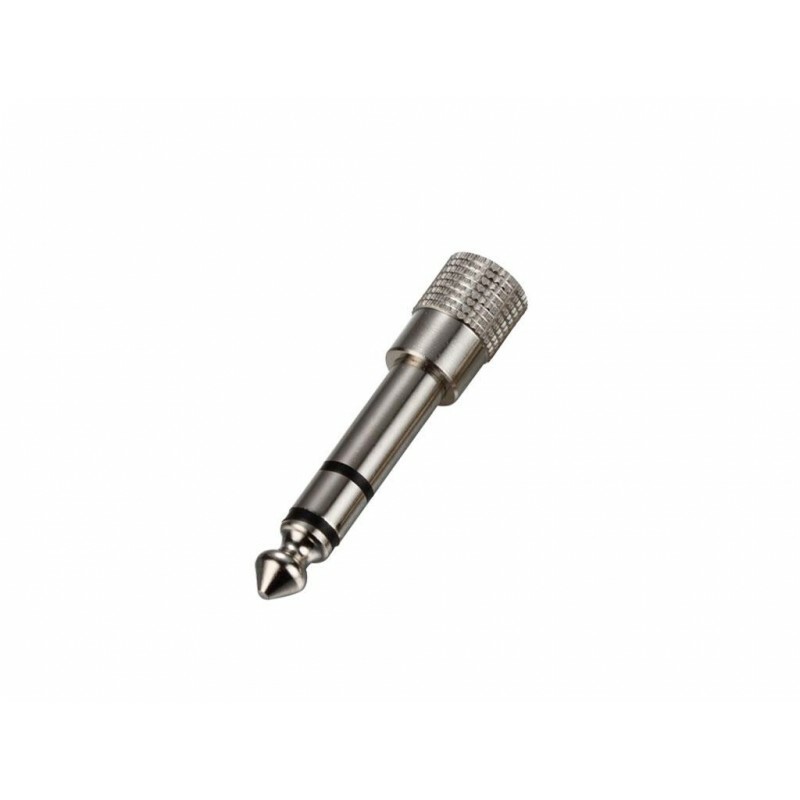 Jack Adapter 1/4 "Male - Mini Jack female stereo. Supplied in a pack of 5 adapters. Jack 1/4 ": Male, stereo, aerial, chrome. Mini jack 3.5 mm: Female, stereo, aerial, chrome.